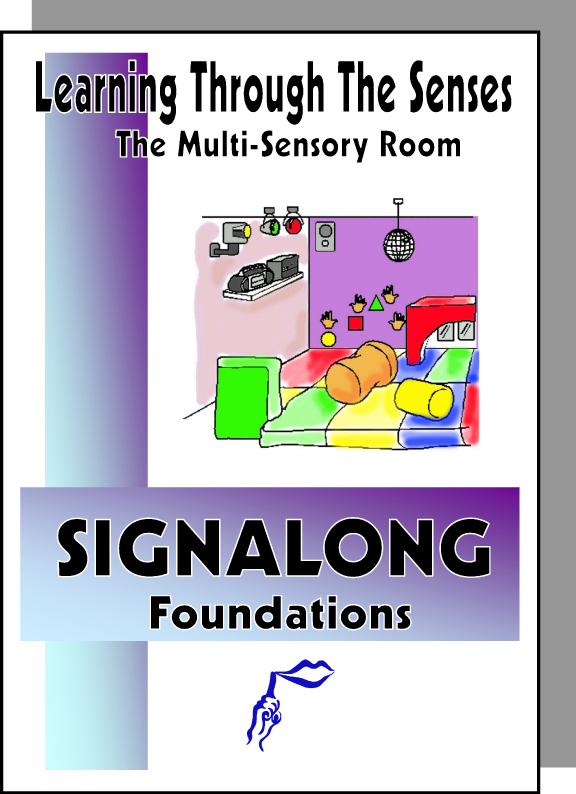 The first two sections of The Multi-Sensory Room manual looks at the sign vocabulary for the range of equipment you may find in the multi-sensory room, followed by a variety of concepts involving textures, shapes, colour and number that may be associated with the environment. The next section focuses on using the body and the sense of body position along with the sense of movement. The last two sections provide vocabulary required for visual and auditory activities along with responses to these stimuli.